We first met Virginia Pye at the James River Writers Conference (another reason to attend what is a great conference) and we were immediately struck by how curious she was. How she asked questions. How she seemed to want to know. We believe this is one of the most important characteristics an author can have, especially one who is starting out, but it really applies to anyone. We were overjoyed when her first novel came out, and now she has a second. We thought we’d pick her brain about what it’s like to go through the process the first time, and then do it all over again. The Book Doctors: Your first novel River of Dust did so well, did you feel nervous about the sophomore jinx? Were you aware that second books are doomed to failure? Virginia Pye: My way of dealing with the second book jinx was to write the next novel right on the heels of my debut. I have my editor to thank for steering me towards the story that became Dreams of the Red Phoenix. I had mentioned an anecdote about my grandmother that got him curious to hear more: in 1937 Japanese-occupied China, my grandmother chased Japanese soldiers off her front porch with a broom. I had always just taken it for granted that my grandparents were complicated and strangely heroic people. It took my editor, Greg Michalson, to nudge me into writing a novel inspired by my grandmother. After exploring the ingénue character of Grace in River of Dust–a woman who is naïve at the start of the story and becomes steadily stronger as she faces greater and greater challenges and dangers–in my next novel I wanted to focus on a woman who is powerful right from the start and even quite headstrong and arrogant at times. Shirley Carson’s arc is almost the opposite of Grace’s: she must tone down her self-confidence and finally listen to others in order to genuinely help them and herself. Once I got involved with Shirley there was no turning back. The story came fast–the first draft was written in a miraculous twenty-eight days. So clearly I had no time to worry about jinxes. I wrote on a tear and then I spent the next year revising with the help of my agent and editor. I really enjoyed myself writing this novel. I hope the reader enjoys it, too! TBD: How do you get people like Robert Olen Butler and our good friend Caroline Leavitt to write such fantastic things about your work? VP: My publisher, Unbridled Books, approached Robert Olen Butler and he kindly responded. I was thrilled that he loved the River of Dust. When I read his complimentary words, I thought I could just quit right then: I had done my job. I met Caroline Leavitt on Facebook. I had noticed how she’s always generous with fellow writers, especially new ones, and I love her posts, which are often quite funny. When I noticed that we grew up one town over from each other in the suburbs of Boston and were both preparing to go back to our hometowns to do book events in the same month, I wrote her a private message. She wrote back right away and generously invited me onto her blog for an interview and then offered her kind blurb. Books, especially first ones, have a way of connecting writers to people in unexpected ways. The enthusiastic blurb I received from Annie Dillard was the most surprising instance of that. Annie had been my teacher back in college. After a full year of studying with her, and working on numerous drafts of the same story, she wrote these words on my final draft: “I believe more than ever that you will write books for the rest of my life.” I took her words seriously and set out to do as she predicted. Annie always had a policy of not encouraging former students to stay in touch. I respected that boundary, but had in mind for years that I would contact her when I finally published a novel. It took far longer than I had hoped, but approximately thirty years later, I finally sent her my first published novel. I didn’t ask her for anything, but simply thanked her for the crucial, life-directing role she had played when she encouraged me as a young writer. Apparently, I didn’t even include a return address or contact information. I just wanted the satisfaction of sharing my accomplishment with my former teacher. To my surprise, two weeks later I received an email from her. She had tracked down my email address from my website and wrote to say that she was proud of me and that she was glad that I’d sent her the novel, but that she couldn’t promise to have time to read. As I composed a brief email reply in my mind that I intended to send to her the next day, I woke to discover a second email from her. She had stayed up all night reading River of Dust! She loved it and offered the most significant comments I could imagine. When I read her complimentary words, I truly felt that I had accomplished the life goal I had set for myself many, many years before. Her emailed comments eventually became the blurb that appears on the paperback of River of Dust. Like so much about the writing process, I learned a lesson from that experience: sometimes things come to you precisely because you don’t push for them. Patience can be its own reward and can give greater gifts than we can imagine. TBD: We’ve heard such great things about Unbridled Books. What are they like to work with? How do they approach getting you and your book out into the world? VP: I can’t say enough good things about Unbridled Books. I have had the privilege of working with Greg Michalson, whose judgment and wisdom as an editor has been honed over decades. He has an unwavering sense of what works in a piece of fiction. I have learned an enormous amount from him about how not to overwrite and how to trust the reader to understand the intention of words carefully chosen. He is the master of eliciting the light touch in fiction. Everyone who works for Unbridled is equally top notch. I’ve been impressed by their copy editor, Connie Oehring, whose work was flawless with both books. And the book designs for both River of Dust and Dreams of the Red Phoenix feature original covers by Kathleen Lynch and interior designs by Claire Vaccaro that capture the essence of each book and are impeccably done and, I think, quite beautiful! The Unbridled publicity team has also been terrific. Working within a tight budget, they need to be especially smart and strategic. They’ve set me up at wonderful bookstores and conferences. Caitlin Hamilton Summie, who works for Unbridled and also has her own excellent marketing agency, is brilliant at positioning a book before publication and arranges terrific book tours. I’ve also reached out a lot myself to local and regional bookstores. Each book event has been a meaningful opportunity to meet the crucial people who bring books into readers’ lives. TBD: You spent a lot of your writing life doing short pieces. What has it been like as a writer to now approach the novel length story? What advice do you have about writing longer pieces? VP: I have published short stories for years in literary magazines–which, incidentally, is no easy task. The success rate is something like less than one percent. But I have persisted at it for many years. But my main love all along and main effort has gone into writing novels. I wrote my first novel in the Fiction MFA program at Sarah Lawrence. Shortly after graduation, a big, highly respected New York agent represented it and we both assumed it would establish me as an up-and-coming writer. But sadly, she failed to sell it. I was disappointed, but went back to writing and wrote a second novel before our first child was born. That novel also found an agent, but more work was needed on it, and I became distracted as a full-time mother of first a daughter, and then three years later, a son. When he went off to kindergarten, I finally delved back into my work and wrote a third novel. That one found a third agent who came close to selling it, but no luck. Each unsold novel went into a drawer, and while that felt terrible, I could even tell at the time that they weren’t actual failures. I had learned an enormous amount about novel writing from the process of creating each new one. With my fourth novel, I had the confidence to try a more complex story about three generations of an American family with ties to China. That bigger, more sprawling book took five years, and even then it never felt fully accomplished. Over thirty agents read it, some more than once. Eventually, I set it aside, too. I then wrote a contemporary novel set in Richmond. That fifth novel has a very different tone–less literary and more a romantic comedy. I’m looking forward to returning to it and polishing it soon, in hopes of seeing it published someday. After that change of pace, I returned to the opening forty pages of the sprawling multi-generational story set in China, and turned them into River of Dust: my sixth novel written, and the first to be published. I was able to write a deeper book, a more mature work, because of all the effort I had put into the previous ones. Since finishing River of Dust, I’ve been on a tear, writing like I never have before. 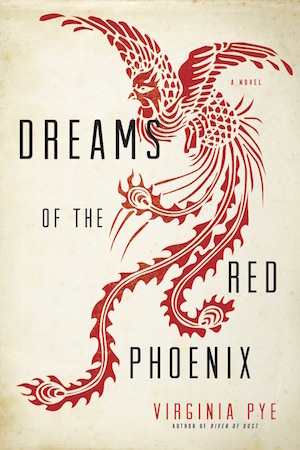 I immediately dove into the follow up book: Dreams of the Red Phoenix. And I’ve also now returned to the multi-generational work that tormented and fascinated me for years and have now revised it completely. I hope it will be the third and final novel I publish set in China. In other words, my advice to writers who want to learn how to write novels is simple: write them. Write one, and when it doesn’t find a home with a publisher, or if you’re lucky and it does, go ahead and write the next. The only way to get better at writing novels is to practice. TBD: Do you think getting an MFA is a big huge waste of money? Or not? VP: My MFA degree bought me time. Two years to focus on my writing, though I did work at the same time. But, I enjoyed having the excuse to write and getting into the rhythm of always working on a book. Being in an MFA program offers a feeling of legitimacy that can help a less-established writer take herself seriously. Getting an MFA also helped me to land teaching jobs as an adjunct at NYU and then U. Penn. I was also able to connect to my first agent through my MFA teachers, so that worked out, at least at first. As I mentioned, I’ve gone on to have other agents, and in the end am very happy with my current agent who I came to unconnected to my MFA. I think that today’s MFA programs offer far more than when I was in grad school. They seem to teach more about craft and about the business. And they are a way to get to know your peers and, if you’re lucky, make lifelong writing friends. But there are other ways to build community around yourself as a writer that are definitely less expensive. Many cities now have writing non-profit organizations that bring writers together and introduce them to publishers and agents. Going to conferences is a great way to take yourself seriously as a writer and to make contacts with people in the writing world. You can apply for residencies at artists’ colonies or retreats. There are many more options now than ever to find resources as writer–online and in person. Getting an MFA isn’t the only way to establish your career and to buy time to write, but it can be very helpful. TBD: How has being involved with James River Writers helped you as an author? Why should writers attend a conference like the James River Writers Conference? VP: Writing can be both lonely and discouraging. I have blithely shared my story of seven novels written and two published. I would have loved to be able to report a higher percentage published, but that wasn’t to be. As a result, I faced a lot of rejection. All along, as I was writing and submitting short stories, it became routine to find returned manila envelopes in my mailbox. I really could have plastered my walls with rejections slips, like the writer in Larry Brown’s Big Bad Love. Though, as an aside, those slips steadily became more personal and encouraging over the years. We’re all just people in this business and if you subscribe to the same journals, and keep sending your stories or poems to the same editors, they notice that you care about what they do, and eventually vice versa. The only way I know to not become too desperate in the face of these odds is to hang out with other writers who are facing similar challenges. I loved being a part of James River Writers, a literary non-profit in Richmond, Virginia. I ended up helping to run the organization for seven years. We had a membership of around four hundred people, which I think is great for a smaller size city. JRW puts on an annual conference, bringing in established authors and publishing professionals. I learned a lot from being around published writers, interviewing them on panels, and moderating their talks. And I learned a lot about the business from meeting agents and editors and publishers. By being part of a writers’ organization, I became knowledgeable about how to be a published author long before I ever had my first novel taken. I think that helps a lot to demystify the process in which books are chosen. Breaking the isolation of writing is key to joining the world of published authors. TBD: I hate to ask you this but what advice do you have for writers? VP: No need to apologize. I love this question! I have been through the hard knocks school of writing and am happy to share my insights, especially if it helps prepare emerging writers in any way, though we all have our own paths. I’ve already stressed that the most important thing is to not stop writing. If you get discouraged, write your way through it. Assume you have not just one book in you, but many. If one is rejected by the world at this moment, set it aside and try the next. The time may come later for the rejected one to find its place in the sun. But your writerly mind needs to constantly be challenged. Don’t get so attached to a single manuscript that you think it is the only one that will make you a writer. Press on and try again. Believe, as Annie did about me, that you will write books for the rest of your life. And all the while as you’re writing, read. Read only the best. Don’t clog up your brain with crappy prose. Read Maugham and Chekov, Carver and Trevor, Paley and Munro. Follow the careers–meaning read the books!–of current authors whose work you admire. And establish a budget that allows you to purchase and read contemporary fiction. Go to readings. Support fellow writers. Approach them and buy their latest and egg them on. They will be grateful and do the same for you when your time comes. Generosity and not jealousy will propel your career forward better than just about anything, except perhaps continuing to write the best books you can write. Virginia Pye is the author of the novels Dreams of the Red Phoenix and River of Dust (Unbridled Books, 2015 & 2013). 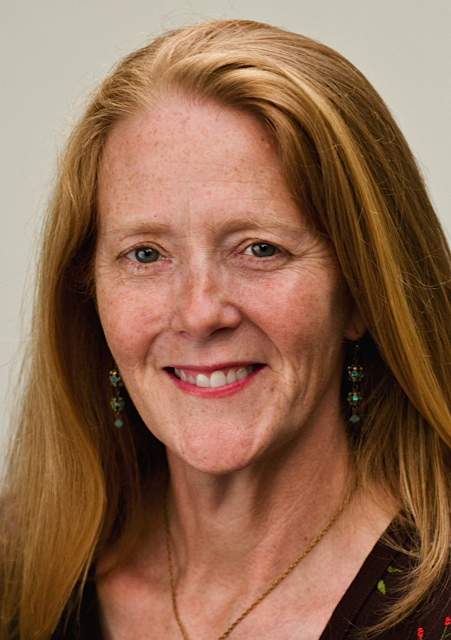 Her award-winning short stories have appeared in numerous literary magazines and her essays can be found at The New York Times Opinionator blog, The Rumpus, Brain, Child, and elsewhere. She holds an MFA from Sarah Lawrence and has taught writing at NYU and U. Penn. She divides her time between Richmond, Virginia, and her hometown of Cambridge, Massachusetts.